Tyson McShane is Senior Planner with the City of Saskatoon’s Long Range Planning Section. He has a background in policy development and neighbourhood design, with experiences ranging from designing and developing a 650 acres neighbourhood, to his current work re-designing and updating Saskatoon’s Official Community Plan. 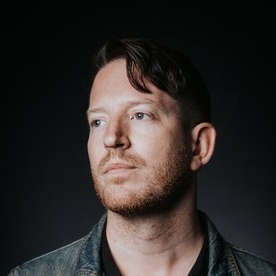 Beyond his professional work, he has spent 10 years fronting the band Slow Down Molasses, as well as curating and promoting countless shows ranging from secret loft parties to a festival featuring 70+ acts performing through some of Saskatoon’s finest venues. This has taken him across Canada, the United States, the United Kingdom, and Europe, and included everything from intimate basement shows, to main stage sets at major festivals. 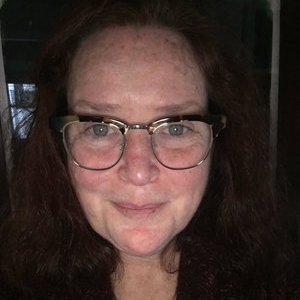 Lynn Ross has been working in the arts and entertainment industry for 25 years; she began her career as a music journalist and talent buyer while attending university. Her current position is Cultural Planner, Special Projects, at the City of Vancouver. Lynn's portfolio includes civic award programs, JUNO Awards, and development of the City's Music Strategy. 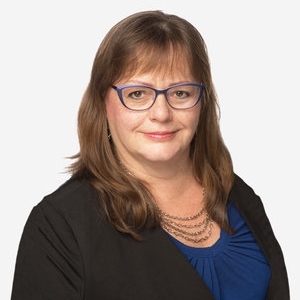 Before joining the City, she held the position of General Manager, Creative City Network of Canada; a national non-profit organization of municipalities, organizations, and individuals working to support cultural development in their communities. Previous positions include Manager, Membership and Administration, SOCAN (Vancouver) and Head of Administration, Cultural Engagement & Activation at Harbourfront Centre (Toronto). Lynn is a graduate of the University of Toronto and BCIT. She is currently enrolled in an Executive MBA program at the University of Fredericton, focusing on Social Enterprise Leadership. A little more than three years ago, Hal and his family decided to invite emerging musical voices to perform in their living room in the village of Stanstead, Quebec — right on the border with Vermont. More than 75 concerts later, their network of micro-venues and not-so-micro venues stretches from Quebec to Vermont to Massachusetts to New Jersey to New York to Maryland to the District of Columbia to West Virginia to North Carolina to Tennessee to Louisiana to California — and now to Vietnam. SHCN set out to create a network of 'safe' zones for emerging voices where they could perform, reinvent their sound, reconnect with their musical roots — and their audience. They have quilted a network of like-minded folks and partnered with B&Bs and inns municipalities and cultural organisations and bakeries and massage artists and yoga teachers and recording studios and film-makers and storytellers. Hal sees himself as a catalyst in the crafting of meaningful networks of ideas, people and organisations. Councillor Deal focuses on Vancouver's livability, bringing her passions for supporting arts and culture, animated public spaces, safe active transportation, and heritage to City Hall. She also spearheaded the food cart program and has served as a Vancouver Public Library trustee. At the regional level, Councillor Deal chairs the Metro Vancouver Regional Parks Committee and the Fraser Basin Council's Watersheds and Water Resources Committee. Jocelyn Kane is the former Executive Director of San Francisco's Entertainment Commission, which is charged with ensuring the health and vitality of indoor and outdoor entertainment venues in the City. Along with daily regulatory concerns, her most current policy work includes the first legislative protections for nightlife businesses from new residential and hotel construction in the US, and ongoing improvements to SF Bay Area late night/early morning transit. In addition, she has improved San Francisco’s sound ordinances over the past 10 years to make them easier to understand and implement citywide. 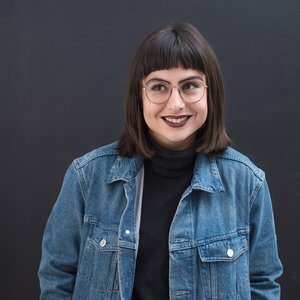 Jocelyn co-produces the San Francisco Nitey Awards, an annual awards show which celebrates creative excellence and positive patron experience in San Francisco’s nightlife. Hamilton, Ontario’s Mark Milne is the founder and co-owner of independent record label Sonic Unyon Records. Together with business partner Tim Potocic, Sonic Unyon runs its record label, Mills Hardware (a multi-arts performance space and live music venue), and Upholdings, a venture that rejuvenates marginalized downtown properties. The team also run a number of events in Hamilton, including Supercrawl — a free music and multi-arts festival that attracts over 200,000 annually each September and is often credited with galvanizing the rejuvenation of downtown Hamilton. Mark also manages recording artist Terra Lightfoot, who is coincidentally nominated for a Juno this year. Mark has been fortunate to work on the border of art and commerce for over two decades, during which time his ventures have been the recipient of awards including Independent Label of the Year, Hamilton Chamber of Commerce’s Young Entrepreneur of the Year, Juno Awards, Hamilton Tourism Awards for Supercrawl, Ontario Tourism Award of Excellence for Tourism Event of the Year, a shortlist nomination for Canadian Tourism Awards' Event of the Year and a Heritage Property Conservation Award for the restoration of buildings on James Street North in downtown Hamilton. 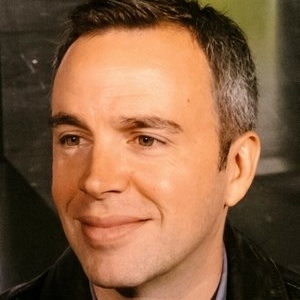 Working in the music business for the past 15 years, Louis joined Québec City Festival d’été in 2011 as programming director. The prestigious multi-stage and multi-genre festival is one of the largest festivals in North America with a programming budget of over $9 million. Headliners in the past two years include Bon Jovi, Aerosmith, The Black Keys, Stevie Wonder, Bruno Mars and The Rolling Stones. In addition to programming the festival, Bellavance books large-scale special events on Québec City's historic Plains of Abraham and the festival’s own 900 capacity venue, The Imperial Bell. He previously worked for various festivals in the province of Quebec including Festival International Nuits d’Afrique, Les Francofolies de Montréal, Le Festival International de Jazz de Montréal and Osheaga. He was also a programmer for the Stingray Digital music network, formerly known as Galaxie. The current Executive Producer of Folk on the Rocks, Carly grew up in central Alberta and has lived all over Canada from Vancouver, BC to Pickle Lake, ON. With a background in production and skills in artistic direction, she and her small team put on one of Canada’s most-northern music festivals every third weekend in July. Michael Gordon is Senior Central Area Planner for the City of Vancouver primarily focused on planning in the downtown peninsula and the False Creek basin. Recently, he was President of the Canadian Institute of Planners. He has been an Adjunct Professor teaching Housing and Community Planning Policy at the University of British Columbia for the past two decades. Michael has written articles on urban design, mixed use, urban history and planning theory. Currently, he is working on the preparation of a documentary on the history of live music venues in Vancouver. He has also worked on four other documentaries on such topics as youth in the city, sustainability and local music culture in Vancouver. Cory is first Music Industry Development Officer for the City of London (Canada). With a diverse background in the music industry Crossman has worked multiple areas of the business including performing as a touring musician, organizing conferences, concerts and festivals. His role has him acting as a liaison between the industry and City Hall actively working to cultivate music sector growth in London. Building sustainable creative communities has been at the core of Kate Becker’s career. Kate currently spends her days (and nights!) working to build Seattle’s creative economy, keenly focused on the film, music and nightlife industries. Prior to working with the city, Becker served in leadership roles at Seattle Theatre Group, Art Share LA in Los Angeles, and The New Art Center in Boston, MA. She co-founded legendary Northwest all ages venues The Vera Project and the Old Fire House, talent pipelines for the music industry. Becker has produced more than 1,000 all ages shows, and numerous large scale events and fundraisers. She was a charter member of the Seattle Music Commission and has served on many nonprofit boards. Sara Stasiuk is an accountant by profession and an arts champion in her bones. After a long career in the music world, most recently at Manitoba Music, Six Shooter Records and Interstellar Rodeo, she flipped to community development as VP Finance + Operations for The Forks North Portage which owns and operates a 50-acre waterfront site rich with year-round public amenities, programming and events, a bustling Market and Food Hall, and a soon-to-be developed brand new residential village. One of Sara’s passions in her new role at The Forks is to integrate local music and art throughout The Forks site. Sara has been long been active in the wider creative community, having sat on several boards including the Polaris Prize, the Western Canadian Music Alliance, FACTOR, and the Unison Benevolent Fund. She recently joined the boards of the West End Cultural Centre and the Manitoba Foundation for the Arts. Meara McLaughlin is Executive Director of the new non-profit industry association, MusicPortland. Her 30 years in the private sector and participation in her family microphone business, Ear Trumpet Labs, provides a depth of experience and sensitivity to the unique needs of Portland’s community. Working with a committed board, large advisory council and a highly receptive local government, MusicPortland will provide positive change for all sectors of the local music industry; musicians, music manufacturers, music service business and venues. She plays the banjo, accordion and tuba with enthusiasm, but little talent.